Broad Spectrum SPF moisturiser with tinted earth minerals helps guard skin against UV damage with antioxidants from soothing Grape Seed and Green Tea extracts, as physical sunscreens shield against skin-aging and irritating UV damage. Contains our exclusive UltraCalmingTM Complex. Formulated without artificial fragrances and colours. sensitised, reactive and recently resurfaced skin. Apply evenly and liberally to face, preferably 15 minutes prior to sun exposure. Or, mix with your moisturizer or foundation, then apply. For continuous coverage, apply regularly and reapply as needed after swimming and exercise. Lightly-tinted moisturiser with natural humectants in a rich base helps protect against moisture loss and blends easily on face. Ultra-fine porcelain particles of chemical-free, non-irritating Titanium Dioxide help to reflect the sun's damaging rays. Antioxidant vitamins and soothing botanicals help guard skin against premature ageing and irritation. An extremely gentle cleansing gel/cream that can either be rinsed off or gently removed with tissue or The Sponge Cloth. Ultra Calming Serum Concentate helps skin sensitivity quickly and effectively: a super-concentrated serum that helps calm, restore and defend sensitized skin. Chemical-free, Broad Spectrum SPF moisturiser helps protect and reinforce barrier lipids, which are often compromised in sensitised skin conditions. 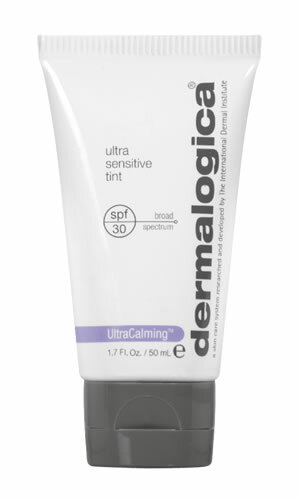 T/A Slapiton is an Authorised Dermalogica Stockist & Salon. All treatments are provided by fully Dermalogica trained therapists and include Face Mapping to ensure that all the zones of your skin benefit from Dermalogica skin treatments.